Commercial trucking is an aggressive business; there are a lot of independent drivers out there fighting for space on the road, and company owners must find a way to turn a profit in the face of hearty competition. When the company cuts corners in order to increase their profits, they put their drivers and the population at large at risk. Sometimes those risks have devastating consequences. At the Rocky McElhaney Law Firm in Nashville, we understand all too well what those risks are, and what kind of effects they can have on the lives of accident victims. We refuse to let negligent trucking companies continue unsafe practices that put our friends, neighbors and loved ones at risk. Our skilled attorneys have years of experience fighting on behalf of injury victims throughout Tennessee, and we have recovered millions of dollars for our clients who suffered because of the preventable actions of another. We’re not afraid to stand up to companies that put their profit margins first. When is a trucking company negligent? Ignoring the Hours of Service rules. Truck drivers are required by law to rest after a certain amount of hours driving. If a driver is offered incentives to drive more quickly or to falsify his/her logbooks by the company owners or managers, we can make a case against the company itself. Improper maintenance and inspection. Brakes, lighting, tires, hydraulic systems – all of these must be checked before a driver goes out on the road. Skimping on the maintenance checks, or not replacing any defective brakes or tires, could lead to a serious accident. Improperly loaded cargo. An unbalanced truck is a truck likely to tip over. Improperly loading cargo can lead to an unbalanced load, or can allow debris to fly from the back of the truck. Lack of driver training. 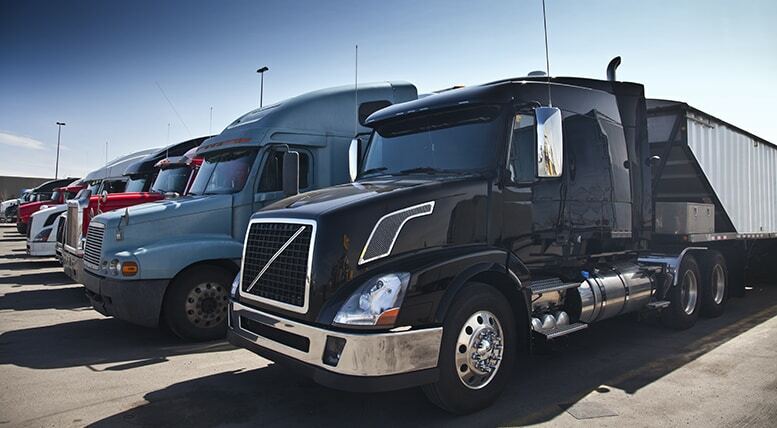 Trucking companies are responsible for training their drivers and employees. Inadequate training – both in driving the specific trucks and in safety – can cause a driver to make a mistake while driving or in an emergency situation. Bad hiring practices. Commercial truck drivers must have a CDL in order to drive a truck in Tennessee – or anywhere in America, really. Not performing even the most basic background checks can lead to hiring inexperienced, unlicensed or poorly prepared drivers. While truck drivers are supposed to check their truck regularly to ensure that it’s running well, the company can be held liable for not following up on the trucker’s report, for failing to maintain its fleet of vehicles, or for forcing drivers into situations with unrealistic goals. We work with field experts and engineers to build a case against company owners, managers and employees when their negligence leads directly or indirectly to your injury. We understand that after an accident, you have questions and concerns. At the Rocky McElhaney Law Firm, we answer your questions and offer you comprehensive guidance at every step of the way. If you were injured in an accident with a truck, we want to help. Please call 888.619.4765 or fill out our contact form. We proudly serve clients in Nashville, Columbia, Hendersonville, Murfreesboro, Memphis, Knoxville, Kingsport and Chattanooga.